Tamara Royal is one of our Remedial Massage Therapists at Wholistic Health Centre. 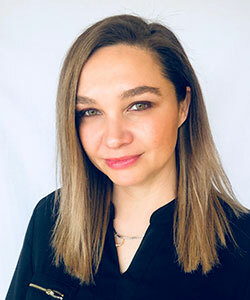 She is a remedial massage therapist who is committed to finding the source of the pain and treating it in a way best suited to the individual. She has a compassionate approach to clients needs and enjoys working with clients to relieve chronic pain and postural issues. Outside of working hours Tamara enjoys spending time with her young family. Tamara has previously trained as a dancer for 15 years and enjoys all types of music. Give your body a treat with a massage of your choice by scheduling your session today at our Wolli Creek or Kareela practice. Give us a call on (02) 9599-6554!